Simmons University appears in our ranking of the 10 Best ABA Master’s Degree Programs in the East. Simmons University offers a Master of Science, Educational Specialist, Master of Science online, and Doctor of Philosophy in Behavior Analysis. Students gain a solid understanding of the field including research and analysis, ethics and legal issues, methodologies for changes in behavior, and advanced topics. The programs prepare students to take the Board Certified Behavior Analysts examination. The Master of Science or Educational Specialist in Behavior Analysis both require the completion of 40 credits. The programs can be completed on a part-time basis and classes are available during the evenings. Students take two courses a semester for five consecutive semesters. The MS program is intended for those with a bachelor’s degree and the Ed.S. program for those who already have a master’s degree. The coursework includes Introduction to Applied Behavior Analysis, Introduction to Single Subject Research Design, Behavioral Assessment, Methodologies for Behavior Change, Ethics and Legal Issues, Advanced Topics in Behavior Analysis, Theoretical and Applied Issues in Skinner’s Writings, Mentoring and Supervision: and Intensive Practicum. The online Master of Science in Behavior Analysis focuses on the science of behavior and contemporary research. Students learn about behavior analytic principles, including behavioral medicine, contexts of special education, instructional design, animal training, and organizational behavior management. A vigorous mentoring component is also implemented within the program. A total of 43 credits are necessary to complete the program. The courses include Introduction to Applied Behavior Analysis, Introduction to Single Subject Research Designs, Behavioral Assessment, Methodologies for Behavior Change, Ethics and Legal Issues, Advanced Topics in Behavior Analysis, Verbal Behavior, Autism Spectrum Disorders, and Mentoring and Supervision: Intensive Practicum. The Doctor of Philosophy in Behavior Analysis is intended to prepare qualified behavior analysts to make significant impacts on the community and behavior analysis field. The program requires the completion of 68 credits and students have the ability to enroll either full or part-time. The required courses include Applied Statistical Analysis, Qualitative Research, Quantitative Research, Diversity in Education, History of Applied Behavior Analysis, Verbal Behavior, Behavioral Research in Education, Behavioral Consultation in Schools, Organizational Behavior Management, Advanced Functional Assessment and Analysis, Experimental Analysis of Behavior, and Behavioral Medicine. Students must also complete a dissertation component. 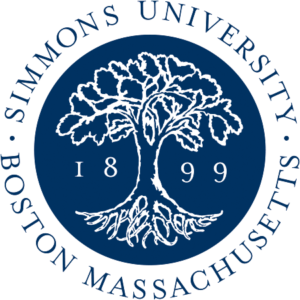 Simmons University is a private, non-profit, non-sectarian institution of higher learning located in the heart of Boston, Massachusetts. It was established in 1899 with the objective to provide education to women to enable them to lead independent and meaningful lives. Today, Simmons University is home to more than 1,700 undergraduate women and 4,000 graduate men and women. The 12-acre campus is located in an urban area. The university operates on the semester-based academic calendar. Simmons University focuses on liberal arts and it is committed to providing students with top-notch academic programs that link intellectual leadership with professional preparation. It offers more than 60 majors and programs in liberal arts, health sciences, education, management, public health, social work, and other areas. The core values of the university include putting students first, preparing students for life’s work, crossing boundaries to create opportunities, and making a collective investment in the community. The student to faculty ratio is 12 to one and the average class size is 14 students. The U.S. News and World Report ranks Simmons University number 11 in its 2019 edition of Regional Universities North. The New England Commission of Higher Education regionally accredits Simmons University to grant bachelor’s, master’s, and doctoral degrees. The behavior analysis programs are accredited by the Behavior Analysis Accreditation Board of the Association for Behavior Analysis International. Simmons University is dedicated to working with students to help manage the costs of postsecondary education. It prides itself on 100 percent of first-year students receiving some type of financial assistance. Graduate tuition at Simmons University varies by program. Various financial aid options are available at Simmons University including scholarships, grants, loans, and work-study. The Federal Work-Study program is a part of the financial aid package. The program is funded by the federal government and provides part-time jobs to students who show a financial need. Students are able to work up to 20 hours a week while classes are in session and they make at least the current federal minimum wage. The actual pay varies by employer and student circumstances. With the increased rate of behavioral diagnoses, more trained professionals are needed to improve the quality of life and learning outcomes for various individuals and groups. The ABA degrees offered at Simmons University are ideal for those seeking to make a difference in the lives of those with behavioral challenges; and job opportunities are available in behavioral education, behavioral medicine, organizational behavior management, consulting, and other related areas.